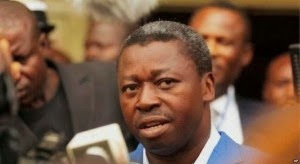 Togo’s President Faure Gnassingbe, has been re-elected for a third term. Togo’s electoral officials say Gnassingbe got 59% of the vote while his main opponent Jean-Pierre Fabre, took 35% of the vote. His family has been in power for 48 years. Gnassingbe has ruled since the death of his father, Gnassingbe Eyadema, who took power in a coup in 1967.